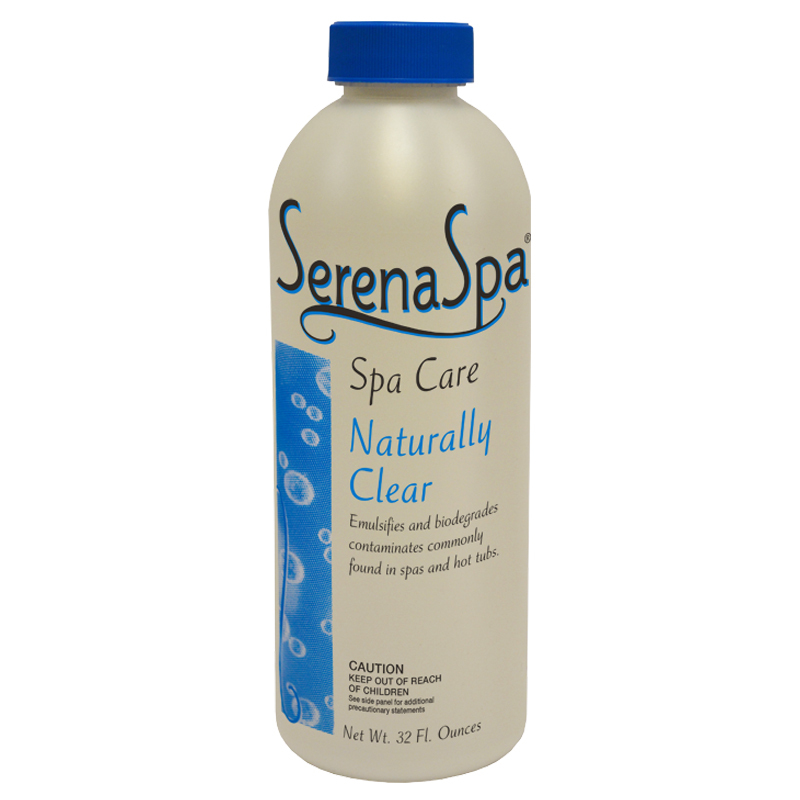 An exclusive formula that breaks up existing foam in spas, hot tubs, and whirlpools. Use Foam Out whenever troublesome, unsightly foam develops. Quickly eliminates foaming. Compatible with other water treatment chemicals. Shake well and add 1 capful to the spa; wait 30 minutes and repeat, if needed. Emulsifies and bioderades contaminate commonly found in spas and hot tubs. Use weekly as a part of your routine maintenance program. Water is kept clear and odor free. Natural enzymes emulsify and biodegrade contaminates converting them into easy to remove compounds so the waterline and the filter will last longer between cleaning. 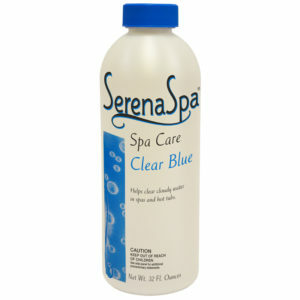 A cationic polymeric flocculant formulated to coagulate and floc fine suspended solids from the spa and hot tub water. These solids, after the addition of Clear Blue, will be filtered out of the spa or collect on the bottom for removal. Helps clear cloudy water in spas and hot tubs. Use on start-up and once a week. The routine weekly dose is 2 oz. per 500 gallons of water. Empire Pools is proud to service the towns from Salem to Plymouth, and most towns in between. We are a two-generation family-owned business, and we are here to make our customers part of our family.